MONROVIA/ABIDJAN, Nov 7 (Reuters) - Health workers in Liberia are struggling to tell whether a growing number of empty beds at Ebola treatment centers is a sign that the country's ramped up response to the disease is working - or just a lull in the epidemic. Of the West African countries hit by the 11-month outbreak, Liberia has suffered the most deaths. The virus has killed nearly 5,000 people there and in neighboring Sierra Leone and Guinea - though numbers could be far higher owing to under-reporting of cases, the World Health Organization (WHO) warned. Nonetheless President Ellen Johnson Sirleaf suggested in an interview with Reuters last month that the first signs of a decline in the epidemic were showing. The government has launched a huge public awareness campaign - sticking posters up and installing chlorine hand washing stations at the entrances to main buildings - that it says is stemming infection rates. As of Sunday this week, two-thirds of the 696 beds in Liberia's Ebola treatment centers were empty, according to the health ministry. New admissions and the number of dead bodies being picked up by burial teams are both falling. "The key indicators.. are telling us that things are improving and slowing down," Deputy Health Minister Towan Nyenswah, who heads the country's efforts to fight the disease, told Reuters. Yet international partners, including the U.S. military, are pressing ahead with plans to build up to 20 new Ebola treatment units (ETUs) in Liberia after dire predictions in September that hundreds of thousands more people could be infected by the virus. And health officials and aid workers caution against declaring a premature victory over an outbreak that has already shown signs of retreat only to rage back with ferocity. "It's almost impossible to tell, epidemiologically, what's happening when you're in it," said Sean Casey, who runs International Medical Corps' ETU in Bong County. Of the 52 beds at his site, 37 are empty, according to health ministry figures. "There could be a legitimate decline, but there could be a blip down, or previously there could have been a blip up." In remote southeastern Guinea, health officials also claimed the disease was all but contained, one month after the outbreak was detected and had killed just over 100 people. Within weeks of that claim - in April - the number had boomed. Experts blamed the resurgence on superstition, denial, and mass paranoia that led many sick to hide due to fear that the treatment centers themselves were spreading the illness. Now when doctors in Liberia look at their empty beds, they wonder which scenario is playing out. From his small shack next to an Ebola treatment center in Monrovia, Lepoe Kunkar watched for months as the epidemic ravaged Liberia's seaside capital, home to 3 million people. The treatment center - run by medical charity Medecins Sans Frontieres (MSF) - quickly filled up after it opened in August. People unable to get in died outside on the street, he said. Now however, Kunkar is convinced the tide is turning. Ambulances scream past his front door less often and people in his community no longer live in constant fear of falling ill.
"A few months ago, we used to see bodies lying around here but now the rate is going down," he said. MSF acknowledges that new admissions to the center have fallen - as of Sunday, the 250-bed facility was treating just 61 patients, according to health ministry data - but adds it is too soon to draw conclusions. Health authorities - overwhelmed by their growing case loads and hampered by an international community that was slow to act - have focused almost entirely on the patients who got to them. 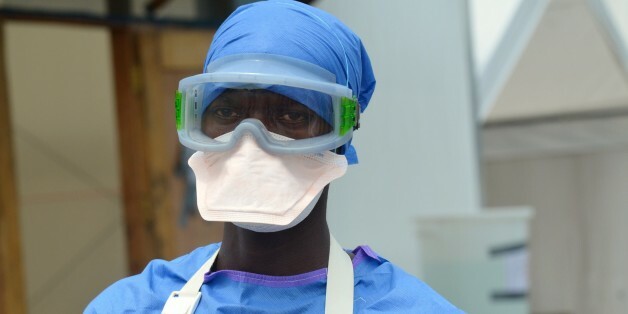 "We still don't have a very clear picture of what's going on outside our treatment units," said Natasha Reyes, MSF's medical coordinator in Liberia. In fact, under-reporting of cases likely means that the real number of Ebola cases in Liberia is two and a half times higher than figures show, the WHO said last month. With so many cases thought to be unreported, attempting to track the epidemic is tough. Some doctors, looking at Guinea, fear that sick people are simply being hidden, perhaps due to alarm over the non-traditional burials given to Ebola victims. "How much of this is happening right now, we still don't know," Reyes said. 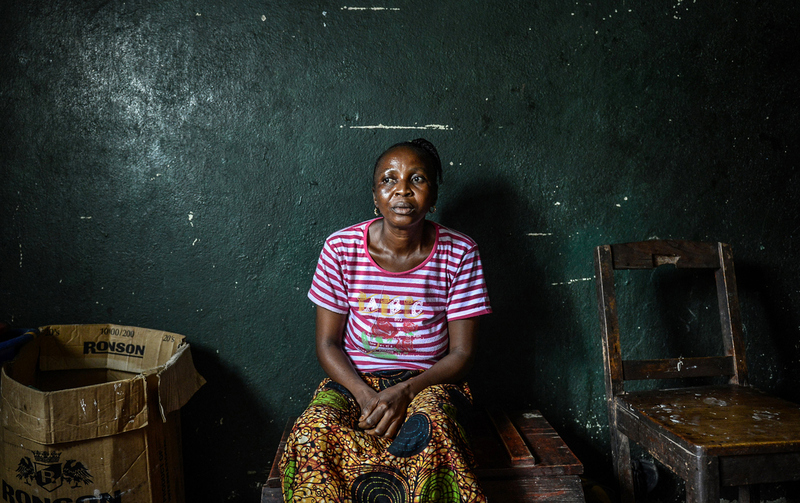 Dr. Bernice Dahn, Liberia's chief medical officer, hopes the respite at treatment centers can allow for a reallocation of staff to a nationwide case search. But she worries that officials, desperate for good news, may read too much into the recent figures. "Now we're seeing a downward trend, there's actually discussion over whether some of these ETUs are needed or not," she said. "But you need to see the direction the disease is taking." The epidemic as a whole is far from over. Just next door in Sierra Leone, Ebola is raging with renewed vigor - in the past three weeks 64 percent of all new cases of the disease have been recorded there and the United Nation's special Ebola mission in the region estimates that Sierra Leone will need 1,864 new beds by Dec.1. The head of the U.N. mission Anthony Banbury warned this week that any celebration in Liberia was premature. "As long there's one case of Ebola in any country, it's a threat not only to that country but to the region and the world," he said. A giant roadside billboard in Monrovia's Paynesville neighborhood put it another way: "Ebola is real. Ebola has no cure. Ebola has no boundary."